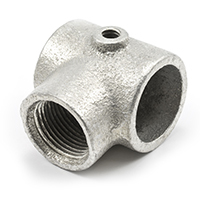 Made from plated malleable iron, these slip tee fittings provide a sturdy connection. Since the run is not threaded, they can be slipped over the front bar with ease. 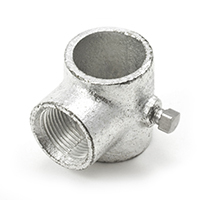 These slip tees fit well within a pipe awning frame. Pair with round tubing and structurally stable awning fabric to finalize your project.